Vintage meets modern. 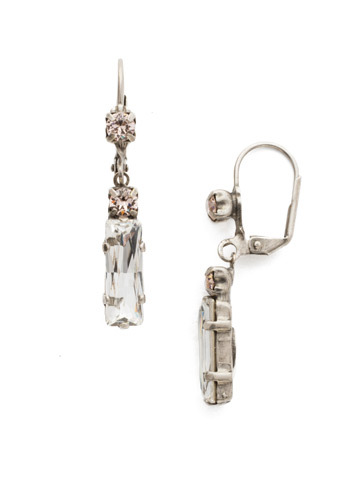 Sleek baguette crystals are placed upon a one and one-half inch drop, accented at the top by a round cut crystal. Round-cut crystal embellished hinged hook closure links the large baguette stone in a delicate line silhouette.